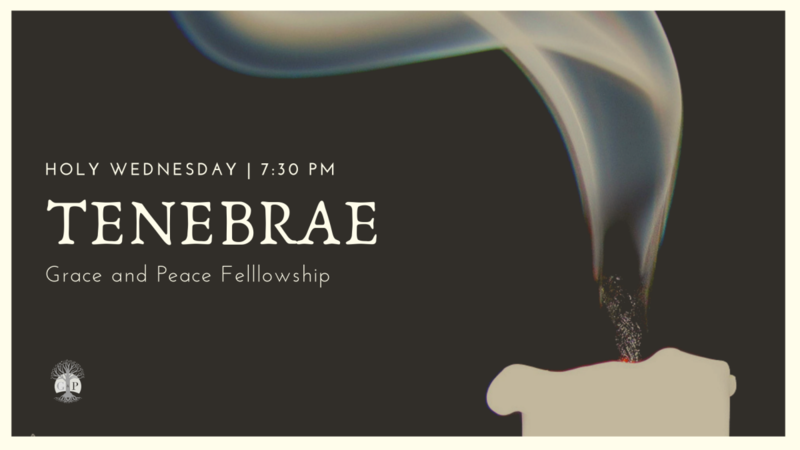 Come share in our contemplation of our Savior's suffering and death in our Tenebrae service. The Tenebrae is the traditional service of readings and songs that commemorate Christ's death. The service is somber and proceeds in increasing darkness until the last candle is blown out and everyone leaves in darkness and silence. The name for the service comes from the Latin word tenebra which means "darkness." We'll gather in the sanctuary at 7:30PM on Wednesday, April 17, and as the natural light fades, we'll descend into darkness contemplating the death of our Savior.